How Humidity Can Affect the Performance of Your Piano? Home / blog / How Humidity Can Affect the Performance of Your Piano? What did your piano movers in East Bay suggest when you availed their services for moving your grand piano to your new place? Watch the weather. They must have shared some valuable information related to the protection of the piano from unfriendly weather. In case they did not, you will find it here. See, your piano is a big and heavy instrument with a lot of parts. And, these parts are moving. So, prepare yourself to take the best care of the instrument. Your piano needs maintenance and the best care. For that, you will have to be aware of the factors that can cause from minor to major damages to your piano. Today we are going to cover environmental factors. These factors affect both the outer polish and inner parts. Humidity and temperature are the two critical environmental factors. The larger part of this instrument is made of wood. Even slightest weather changes can adversely affect the body and performance of the instrument. Wood sometimes swells and sometimes shrinks due to changes in the humidity level. This affects the tuning ability of the instrument. Taking some precautionary measures will protect the piano and also increase its life. Humidity is high in East Bay, San Francisco and surrounding areas. So, take precautionary measures according to the region. How humidity affects your piano? The soundboard of the instrument is adversely affected due to humidity. It shrinks and swells. It is a ⅜ inch thick crowned shape wooden sheet. Strings in piano pass through the soundboard and are attached to bridge, a piece of wood. The soundboard is there to tightly press bridge against the strings. The size of the crown increases when humidity is high. This puts pressure on the bridge and pushes it against the strings. Strings are stretched tighter and this raises the pitch. In case the humidity is low, the size of the soundboard is slightly reduced as wood shrinks. This reduces the crown and pressure on the strings. So, the pitch drops. Though normal weather will bring it to the normal settings, tuning will be changed. How to minimize the effects of humidity? If you want your piano to stay in tune, you will have to maintain the ideal and constant level of humidity around your piano. Here is what you can do. Protect your instrument from extreme temperatures. Keep it away from doors, windows, stoves and heating and cooling areas. Protect it from direct sunlight. There are some areas including East Bay and San Francisco where humidity is low in summer and high in winter. Buy a hygrometer. It is a device used for monitoring humidity changes. A room humidifier can be helpful during summer. However, be careful. Too much moisture will affect the tuning of your piano. Installing a humidity control system in the room can also help. This humidity control system has three parts including a humidifier to increase the level of humidity, a dehumidifier to eliminate or decrease the level of humidity, and a control unit that senses the humidity level in the room. 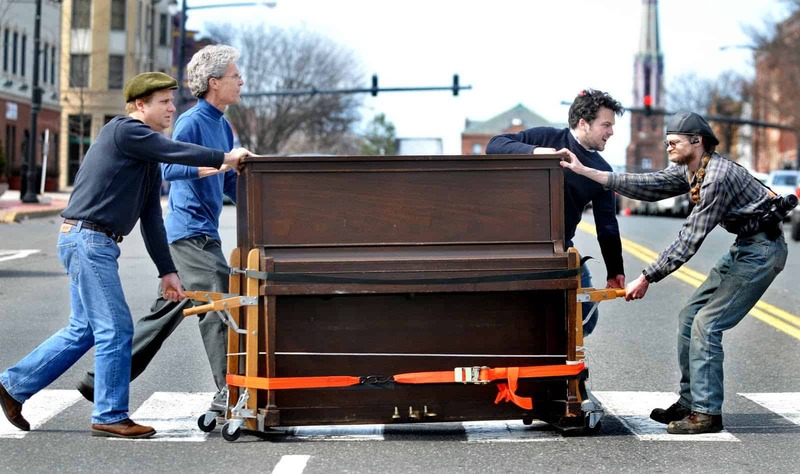 Whether you are going to store your piano or planning to hire piano movers in East Bay for moving piano, watch the weather.